This entry was posted in Just Life on February 10, 2016 by Steve Tilford. I went to see Stacie yesterday in Louisville. 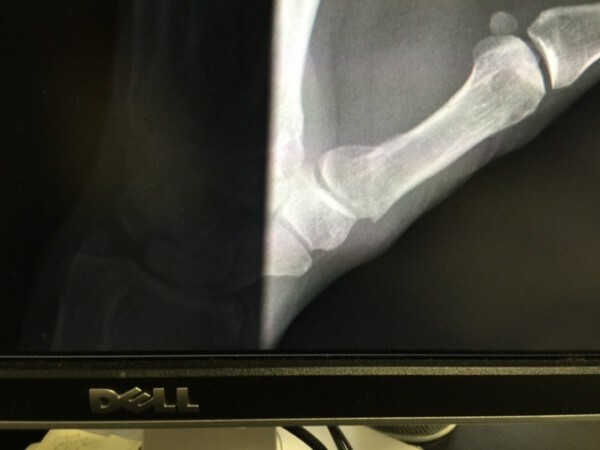 She took a few x-rays and it was sort of a good/bad report. My main concerns, my left thumb and neck seemed pretty good. 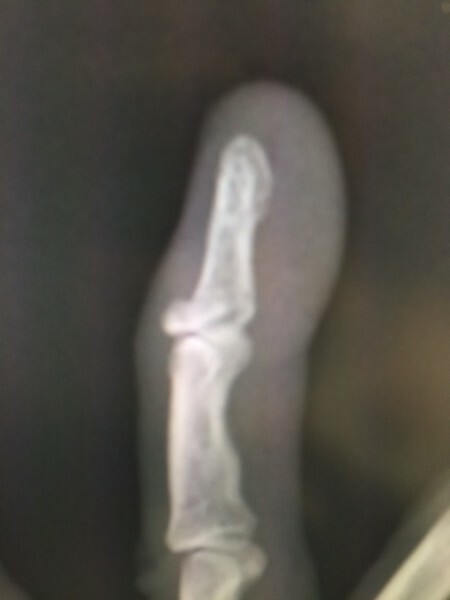 But my left ring fingers is displaced. Plus, the thumb on my right hand, that I broke before Berryman Epic, is still sort of healing. I hadn’t thought much about it but that is 3 out of 10 digits that are off the market for use as of this time. It is amazing how you can adapt to this, it really doesn’t seem that awful, but it is a hassle, of course. My left thumb is what is keeping me from really doing normal stuff. Well, maybe not completely. It is funny how I haven’t really been paying much attention to my left ring finger and now that I see that it is broken badly and probably should have been pinned back together, it is bothering me a ton more. Stacie talked to a hand surgeon and send him my x-ray and he said that there really isn’t enough bone on the finger to pin it back together. The break is too close to the joint. He said I should be ready for arthritis down the road. That joint and all my others it seems. Anyway, I guess it is just time now. The breaks are all healing and that is a good thing. We drove back to Topeka and got back in time for some of the KU/West Virginia game. It was an important basketball game, if that is possible, for the Big 12 Conference. The little one, Tucker, was fascinated, running around the house, having cats check him out. He was a mad man for hours and then collapsed and slept all night. Today is my birthday. I have a head cold, which is a drag. I feel pretty crummy. It is funny how I can go and ride 600 miles in a little over a week and it all goes down the drain with sickness. I know that isn’t really the case, but it seems like it. It is supposed to be in the mid 50’s here in Topeka, so I’m still going to go ride and see how I feel. It is normally the routine riding my age. That might be a stretch today unless I can recruit some guys to pull me around. My left thumb is just a little displaced after my crankarm breakage fiasco. But my ring finger is a mess. 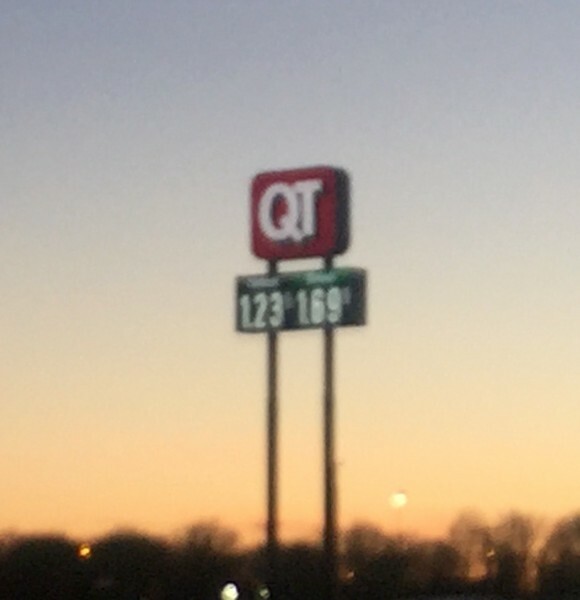 Gas prices are crazy low in Missouri. $1.23 is about 1/2 of what it cost in California. 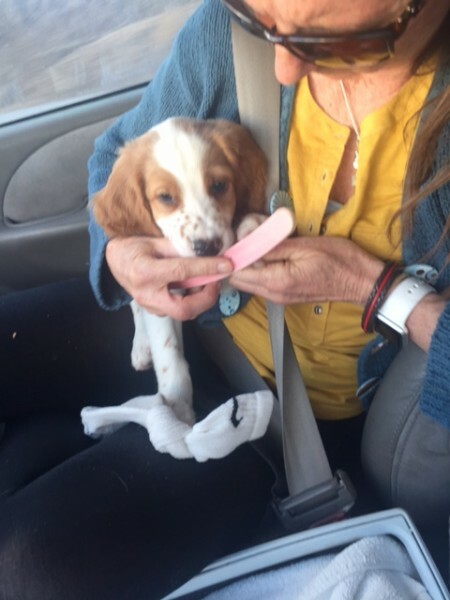 Tucker getting his nails filed. He wasn’t much into it, but he has been ripping Trudi’s face up pretty good. Happy Birthday … enjoy the day. Those freckles on Tucker’s snout are awesome! Have a great day Steve. Tucker sure makes a nice bday gift. Does he still have those sharp puppy teeth? Happy Happy There Crocked Fingers!! Enjoy Another Trip Around The Sun!! 600 miles in just a week cold make you sick this time of year, plus going from hot to warm usually does that not to mention flying on a plane full of sick ppl. Seems all boxes checked for a head cold or worse. Happy birthday. A little dremel on those puppy claws works pretty good. Bring Tucker to Austin! Miss you all. Missouri state gas taxes are the lowest (or close) in the nation. I wish they’d raise it and spend it on the roads/bridges. Tucker’s acclimation to your world seems to be going great! What an incredible pup and birthday present. I clink your beer glass and wish you many more birthdays. Try a rotary grinder on Tucket’s nails. Our corgi allows this, (barely). It would be a great time for the Feds to slap on a $1 per gallon tax increase and fix every road, bridge and tunnel in the country! And what’s left could go to public transportation improvements -n more room on the roads for cyclists!! Oh, and from here in Sicily, BUON COMPLEANNO STEFANO!